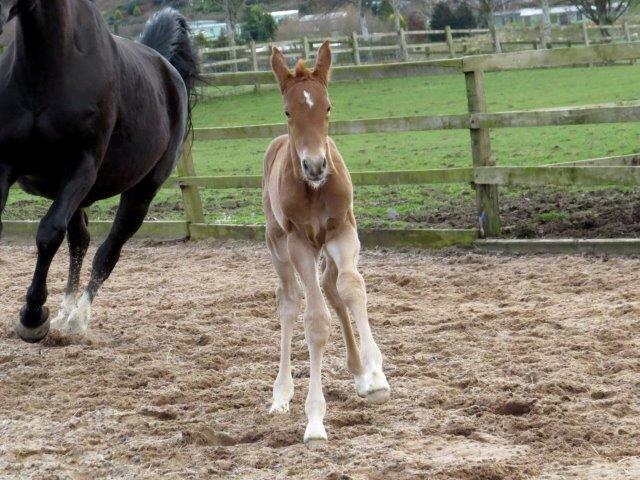 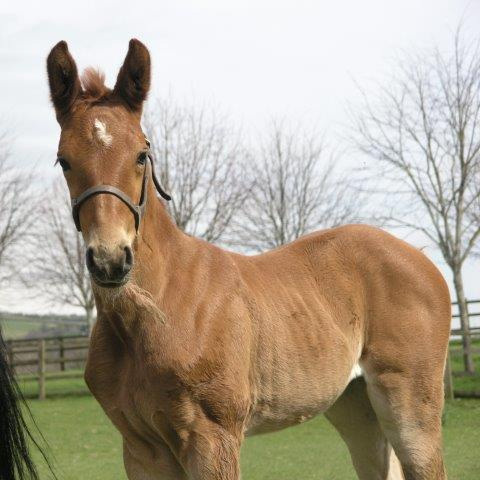 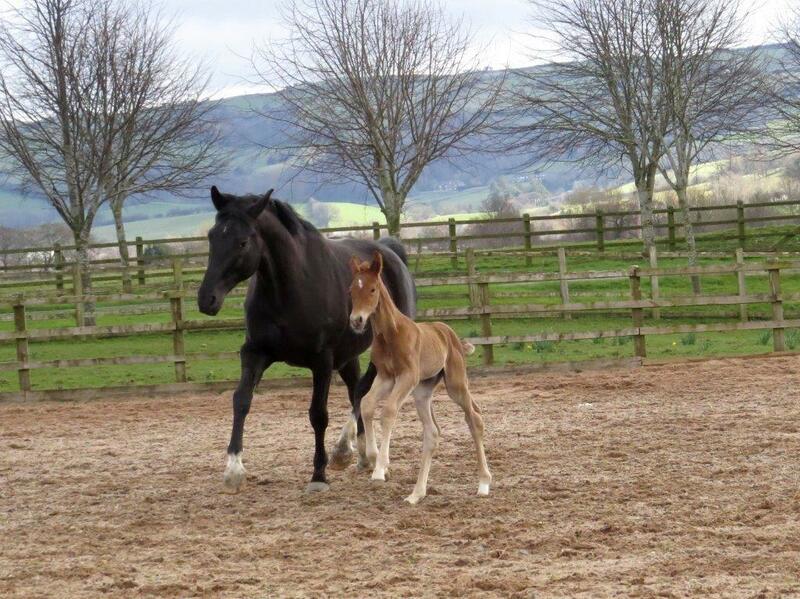 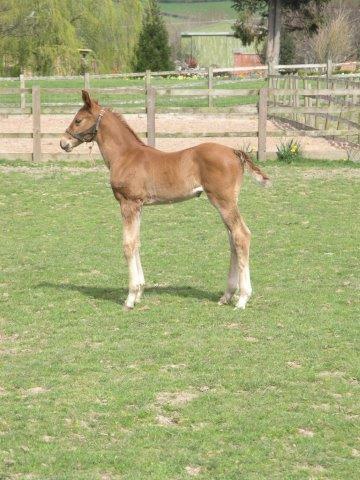 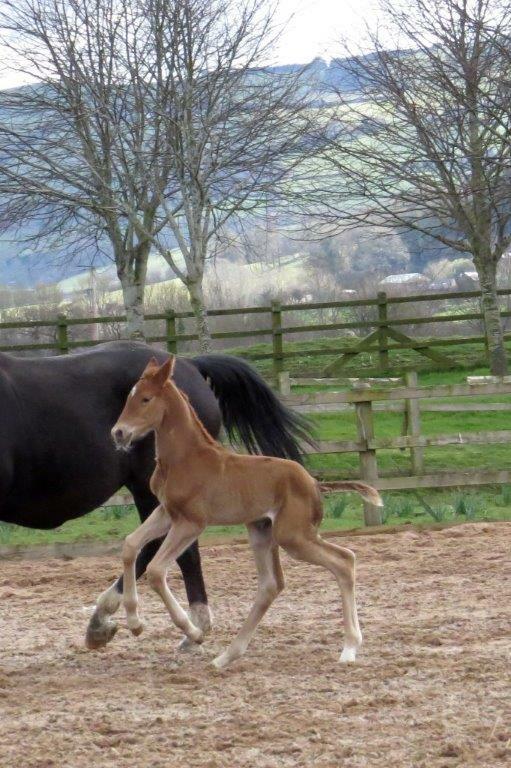 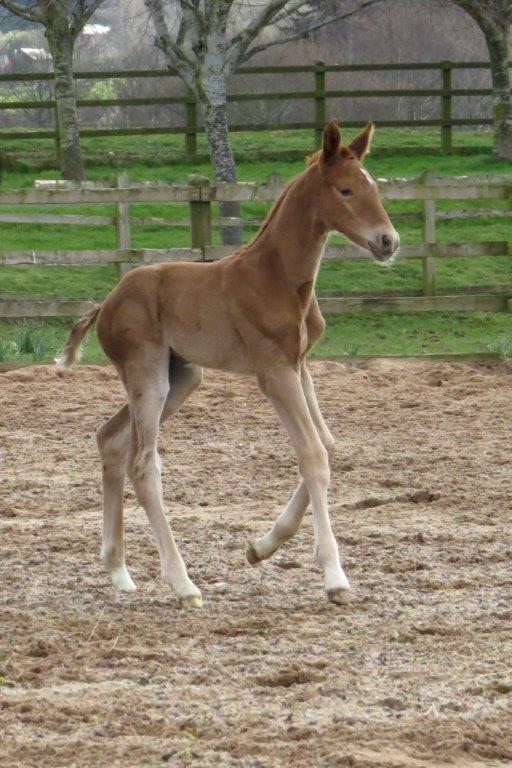 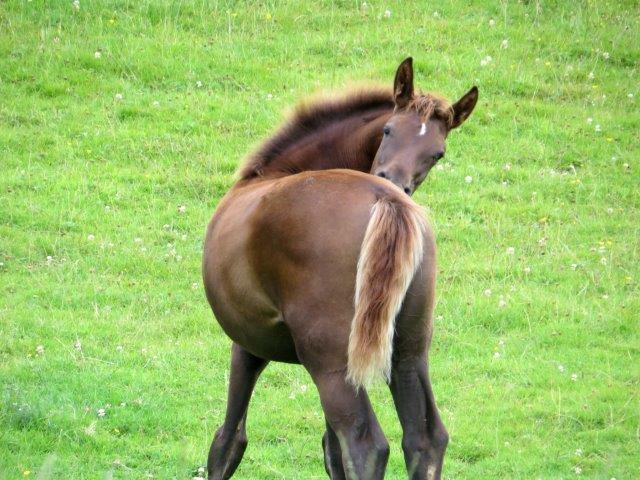 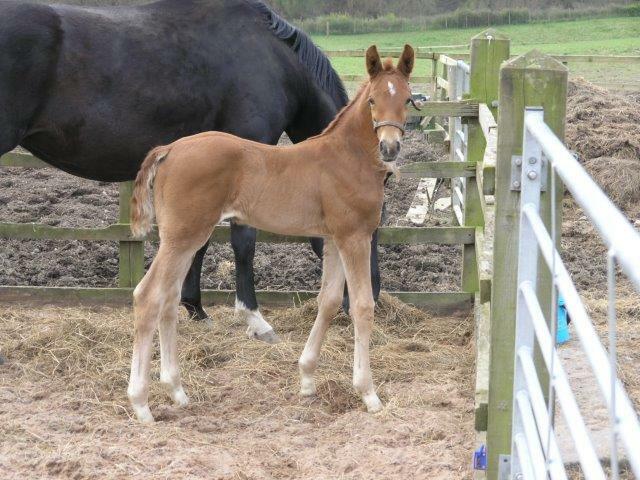 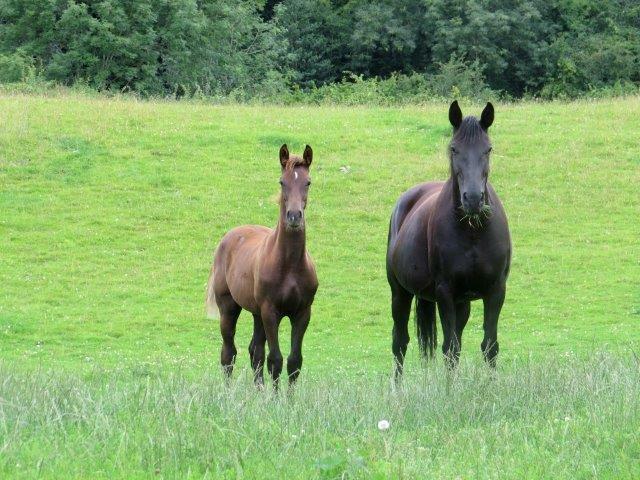 2nd April - Dark Lilian produced a lovely filly for us by Franklyn Sugar. 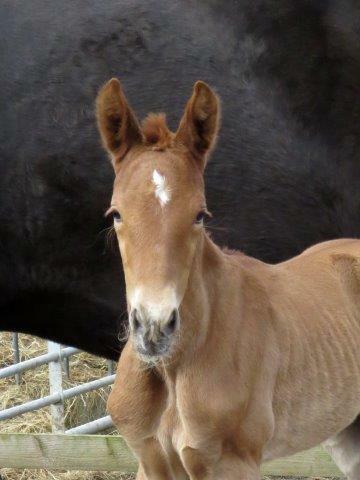 Bunny has inherited her grandfathers Furst Heinrich's long ears. 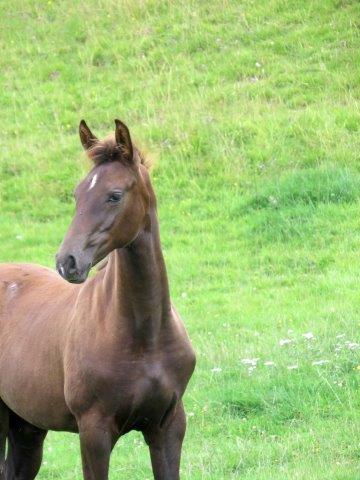 She has super uphill paces and a very confident nature. 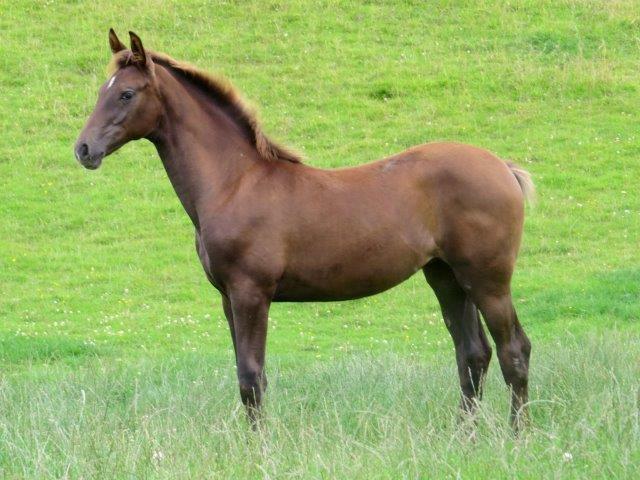 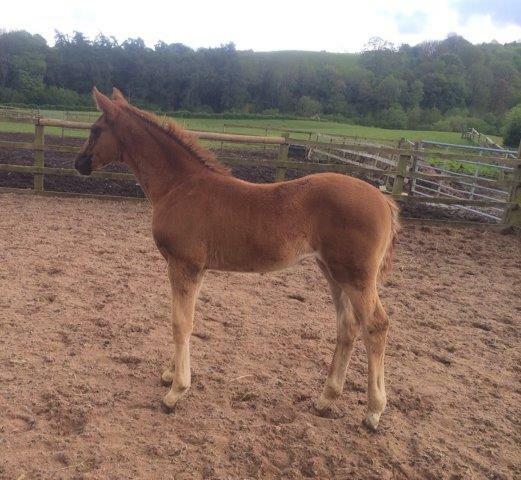 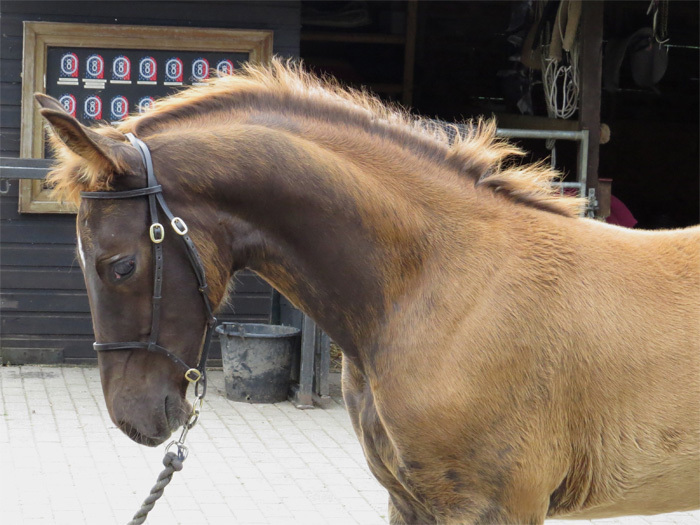 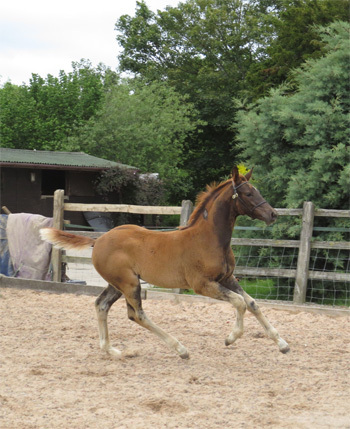 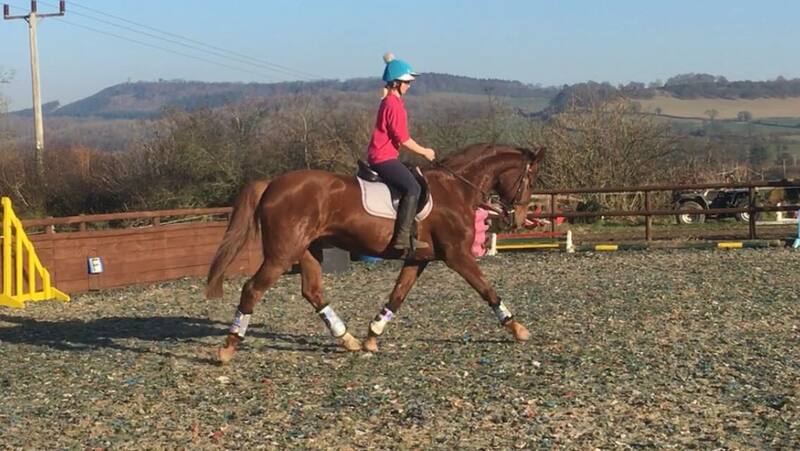 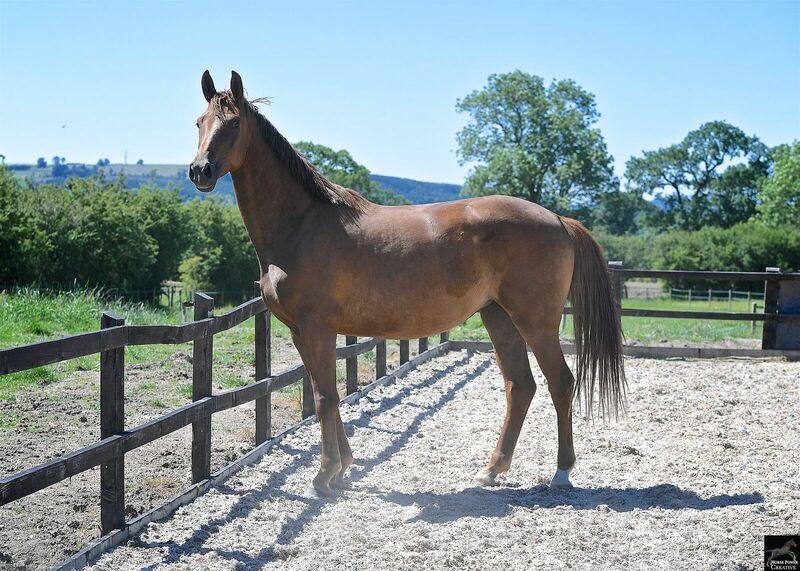 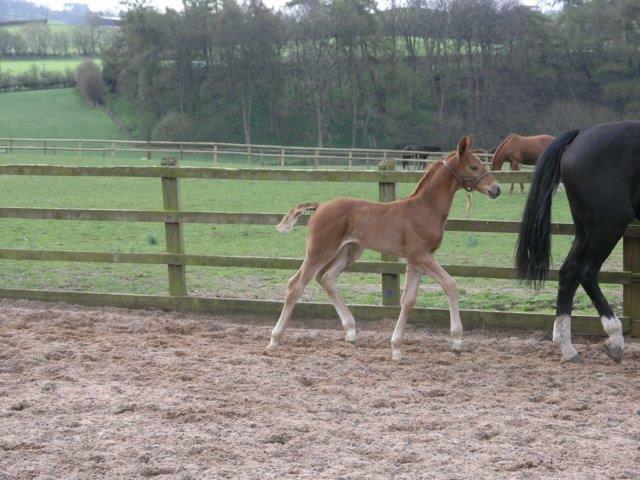 A tall filly who will probably make 17hh. 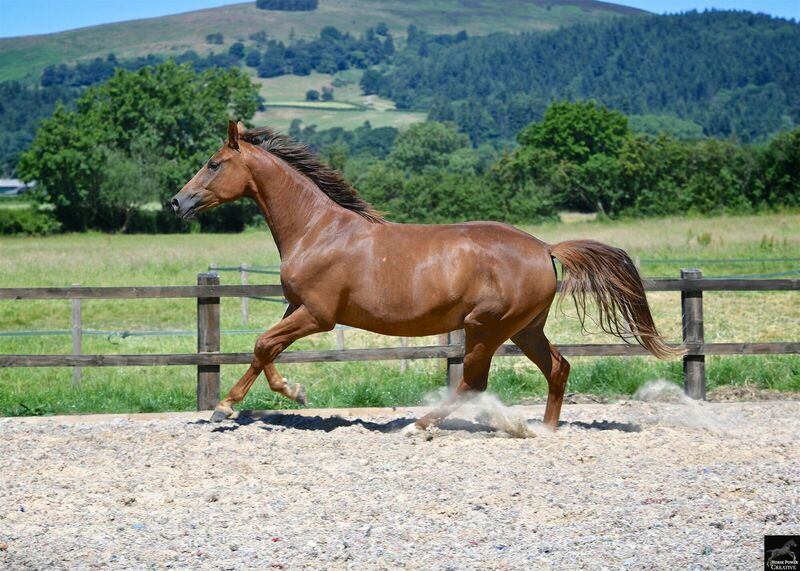 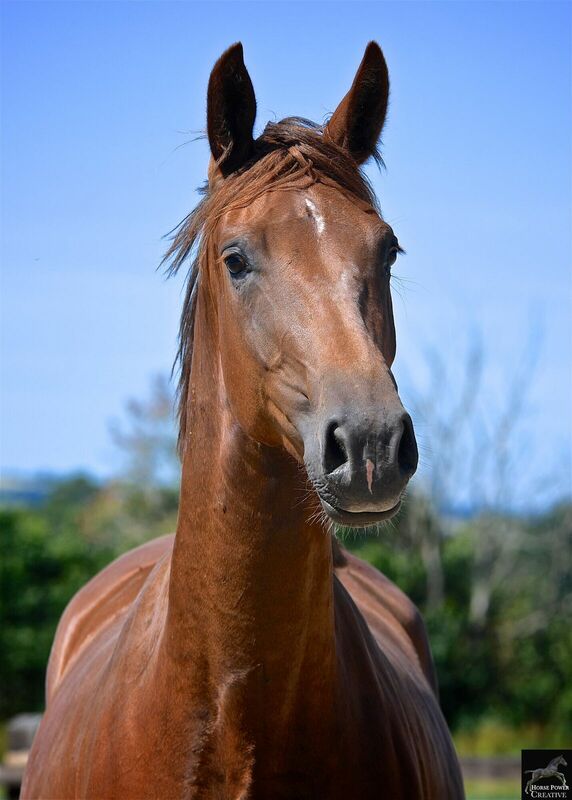 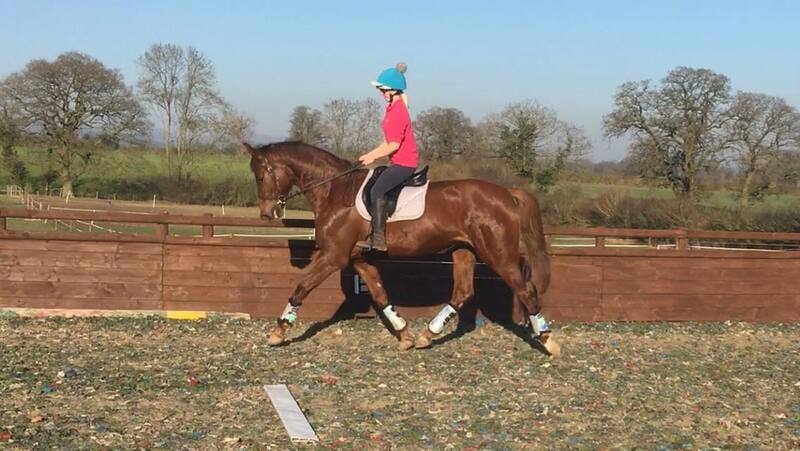 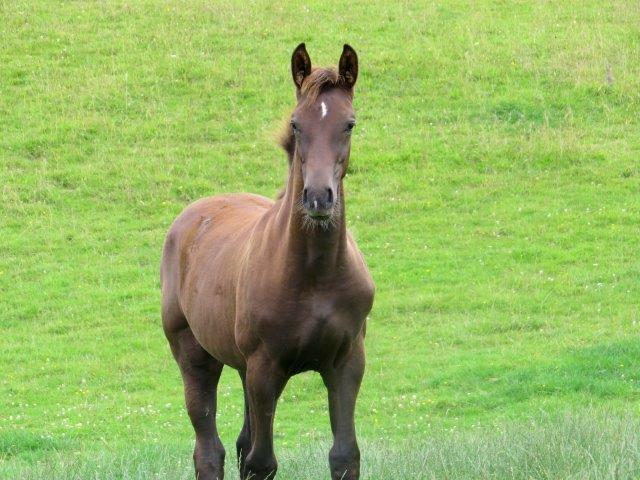 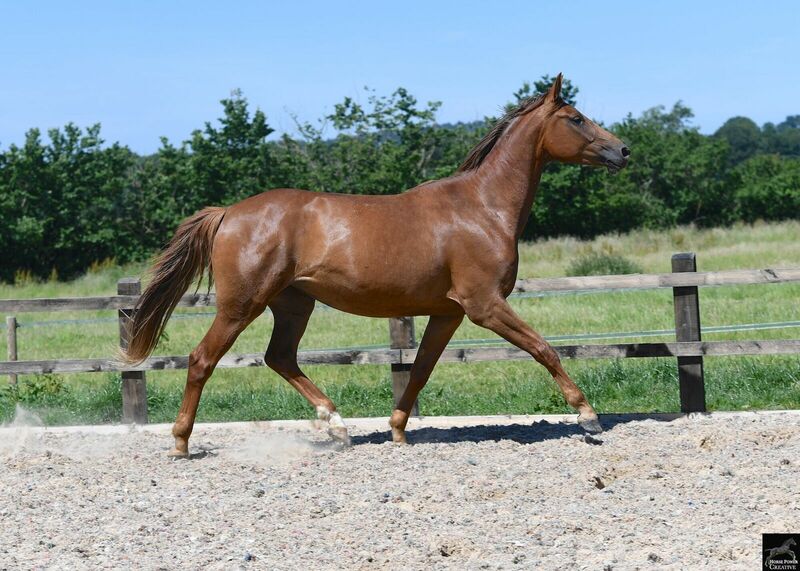 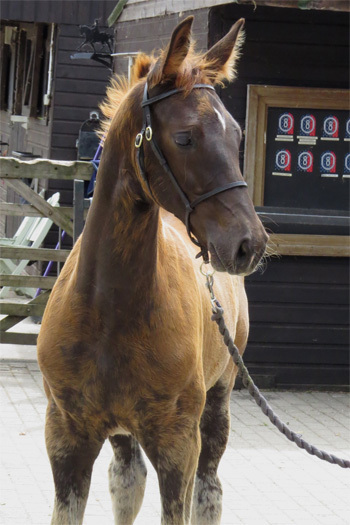 Now 2 years old and looking fabulous, very impressed with her paces and lovely nature. 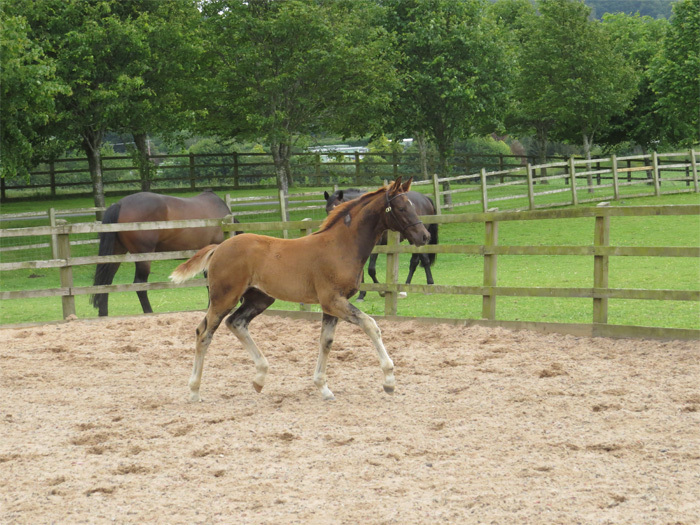 Currently being backed and behaving perfectly taking things in her stride.